You don’t need to be an artist to create a stunning design for your blog’s theme. It is enough to keep up with what is trending. Nowadays, there are trends that you may follow in order to make your WordPress blog seamless. One example is parallax scrolling. Parallax scrolling is a curtain-like effect on photos that take place when you scroll your mouse. It works by causing the images to move faster than the background. Sometimes, it appears to be fading. 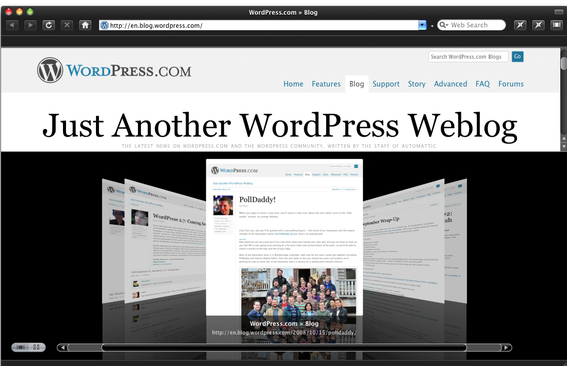 Using this type of design makes your blog appear to be clean and modern because the era for static pages has long gone. A website with responsive design can adjust to or fit the screen size of every user’s device. In the past, desktop computers almost have similar standard size. Because of this, it was easier to configure the outer appearance of every web page. Aside from that, most people were using computers only. Nowadays, there are many types of devices you can use to connect to the Internet. There are laptops with various screen sizes and mobile devices with different models. If you have a website, it is important to make it mobile-friendly. This means that your design does not serve only the desktop and laptop users but also those who use tablets and smart phones. Sometimes, it is better to become a minimalist when it comes to WordPress blogging. Remember that WordPress offers a lot of plugins and tools. Most plugins help in design development, but they greatly slow down your site if not properly managed. Selecting which plugins to use and not to use to reduce the loading time of your site s daunting. The best way to manage it is to keep everything simple. Remove unnecessary plugins and widgets and keep those that are very important. A seamless WordPress blog is a blog that loads quickly and smoothly. Don’t fill your blog with endless letters. This is one factor that drives away visitors. Nowadays, Internet users are easily intimidated by a newspaper-like web page. Even though there are still many people who love reading, a blog that is easy to read is more favorable than the one that is covered with articles. To keep the readability of your blog, make use of white spaces. You can do so by determining properly the margin and spacing between two paragraphs. Proper line spacing is also important. White space gives your readers some elements of surprise, so they can keep their interest to stay on your page. There is no right or wrong in terms of which font must be used. The reason why there are a lot of fonts available for you to choose is because you are free to use them according to your preference. You can explore your own combination or pairings depending on your website. On one hand, fonts only become bad when bad websites always use them. For instance, most spam websites use certain fonts that are too emphatic. Avoid using similar fonts. On the other hand, fonts that are too formal can make your site boring. Nonetheless, it is safer to follow what most websites are using. Your blog may have a contact form, subscription form, or a survey form. You may be blogging for the purpose of gathering visitors’ information. This is why you enable such form to work for your goal. There is nothing wrong with it as most websites are doing the same. However, forms that are poorly designed may drive away visitors. To prevent this to happen, avoid making your forms difficult to fill in. A survey form that looks like an application form is most likely to scare your visitors. And if your contact form requires too many details, don’t expect many visitors to send you a message. What would you feel if you see a white page that has 404 error message? You would probably think that the site has already gone. 404 error message can also destroy the credibility of a site, especially if it happens frequently. Although this is something that cannot be avoided, there is still a way to reduce the negative impact of 404 error page. The best thing to solve this problem is to design an entertaining page that will appear when 404 error page occurs. Think of an image of pets or cartoon characters that show they are working o something. This will represent that the site doesn’t have any problem, so there should be nothing to worry. Site bugs and glitches ruin everything. No matter how beautiful and seamless your WordPress blog is, your effort would be in vain if you are not aware of any glitch in your site. Therefore, it is best you often check your site for bugs and fix any glitch. Blogging is now the trend on the Internet. If you want to blog, there are a lot of platforms you can use. In fact, there are free platforms you can begin with such as WordPress.com or Blogger. But if you are a serious blogger who wants to have a professional blog, WordPress.org is a perfect platform for you.